Her name is synonymous with credibility and her presence commands respect. One of India’s most distinguished media professionals and a respected author, Mrinal Pande’s popularity cuts across geography and language. While her (bilingual) literary oeuvre has won her critical acclaim, her work as a print and TV journalist has helped her forge a unique connection with the people of the country. Multifaceted doesn’t even begin to describe her. But then, Pande, born to Hindi litterateur Gaura ‘Shivani’ Pant, a prolific short-story writer and pioneer in scripting women-based narratives, was raised in a home where creativity and intellect were prized. Moving from Nainital to Allahabad for further studies (with even a stint at the Corcoran in Washington DC), she has carried the torch with aplomb, studying—and excelling in—an array of subjects, from English and Sanskrit literature to ancient Indian history, archaeology, classical music and the visual arts. 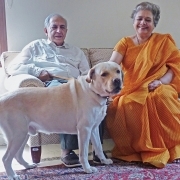 While she has taught English literature at the University of Allahabad and College of Jesus and Mary, Delhi University, and history of art and architecture at Maulana Azad College of Technology, Bhopal, journalism was a natural fit for Pande, who began to ‘copy-edit’ her mother’s work when she was just 14. 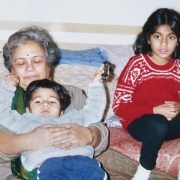 Having cut her teeth so young, she went from strength to strength, serving as editor of Vama¸ a Hindi publication of The Times of India Group (1984-87) and Saptahik Hindustan, a Hindi weekly of The Hindustan Times Group (1988-92). Making the switch to television, she became a familiar face across the country with her stints as a news anchor on Star News (1996-98) and Doordarshan as presenter and senior editorial advisor for the channel’s news and current affairs programmes (1999-2001). 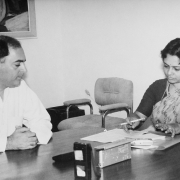 Then, it was back to print when she was appointed chief editor of Hindustan, the Hindi daily of The Hindustan Times Group, the first woman to hold the post (2001-09). 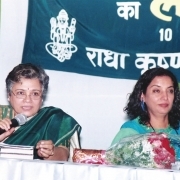 Awarded the Padma Shri for services in the field of journalism in 2006, she was appointed chairperson of Prasar Bharati, India’s largest public broadcasting agency, in February 2010, a post she held till April 2014. Through it all, she never ignored her literary muse. Having published her first story at the age of 21 in Hindi weekly Dharmyug, she went on to display her dexterity as a writer of short stories, plays, novels and essays; prominent works include The Subject is Woman (Sanchar Publishing House), Daughter’s Daughter (Penguin), That Which Ram Hath Ordained (Seagull Books), Devi: Tales of the Goddess in Our Time (Viking/Penguin) and My Own Witness (Penguin). As many of her titles suggest, women are central to Pande’s work. 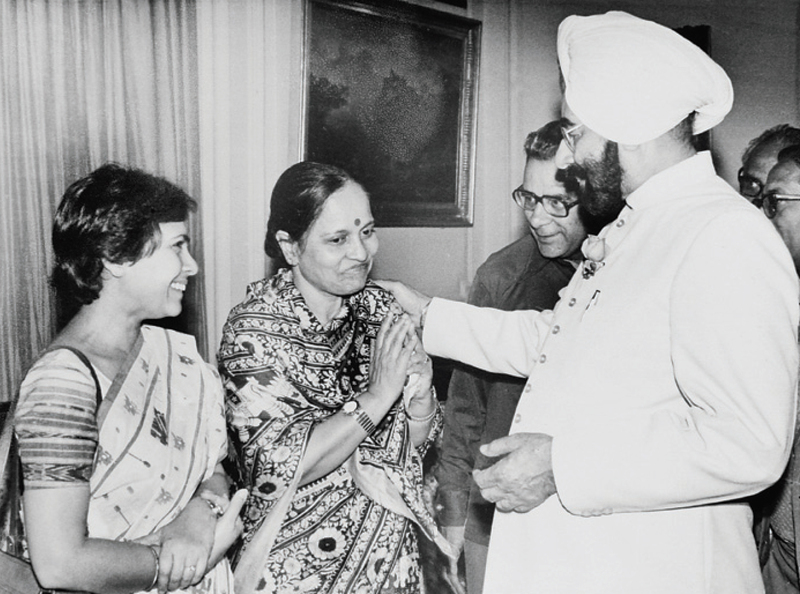 She was founder-president of the Indian Women’s Press Corps, serving from 1990-94 (and again in 2001-02). 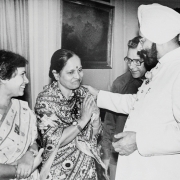 She also spent many years on the National Commission for Self-Employed Women, engaged in the socioeconomic development of groups such as rag-pickers, vegetable sellers and domestic help. 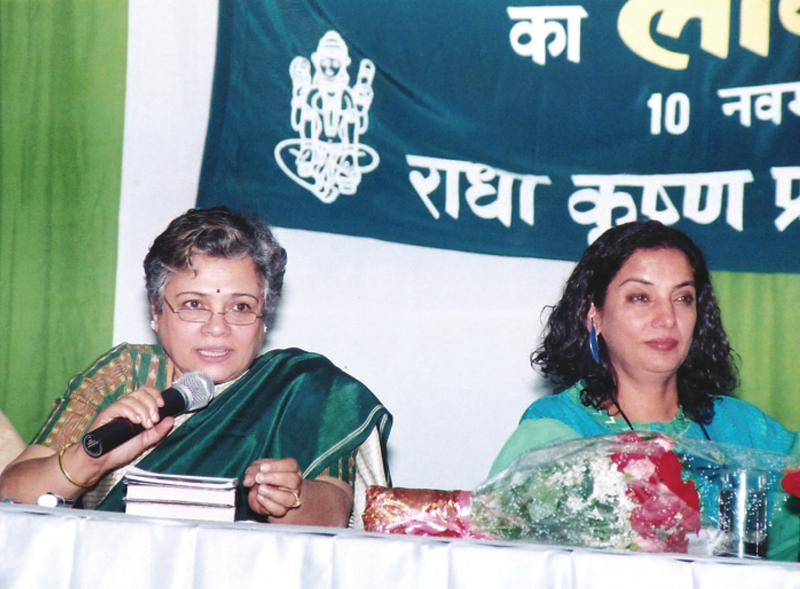 Today, at 69, Pande continues to do what she does best—she showcases her skills as interviewer on the popular Baaton Baaton Mein on Lok Sabha TV; writes fortnightly columns for Mint and Jansatta; and serves as trustee on the Board of the Wildlife Trust of India and chairperson of The Media Foundation, an NGO that monitors the Indian media. With a book on the growth of Indian classical music after 1857 on the verge of release, she’s also working on a literary series for TV. In the midst of all this activity, she makes time for an exclusive interview on her work and life. 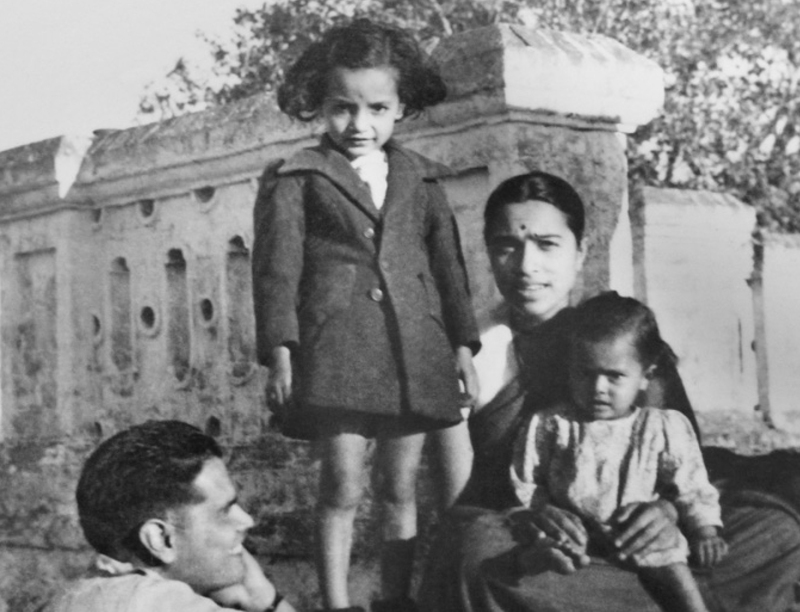 Who do you identify yourself with the most—daughter of ‘Shivani’, writer or journalist? My output is created not in parts but from a mingling of all three elements: Shivani’s daughter, writer and journalist. Please share some of your childhood memories of your mother. My mother was a hands-on mother and writer. She brought up four of us, plus numerous cousins who were sent to us from time to time for better schooling facilities, which Nainital offered. She never differentiated between her children and others’, and was equally truthful and demanding of all of us of excellence and family values. What was it like, growing up in such a culturally rich home? Great Hindi writers like Hazari Prasad Dwivedi, Kamleshwar, Sumitra Nandan Pant, Mahadevi Verma, Amritlal Nagar and Amrit Rai were family friends, mentors and frequent visitors whom we treated not as great creative minds of their time but well-loved gurus. The house was always full of books and magazines and we discussed literary trends and specific works on the dining table like others discuss family and money matters. We had, for very long, very little by way of earthly possessions. Our school uniforms were few and needed constant recycling; we often bought textbooks second hand. We were accountable for every pencil and eraser and used them as long as they were usable. Our house didn’t have posh sofas and ACs or even a fridge but we did not miss them as we were confident of our intellectual calibre and creative minds. What kind of relationship did you share with your siblings? I was closer to my elder [step-] sister than my siblings who were six and nine years younger. My sister was affectionate but a bully. She was musically gifted while I was the one with brains. She did not wish for me to pick up music for fear that I would do better. So, even though I loved it, I learnt it only after I married. 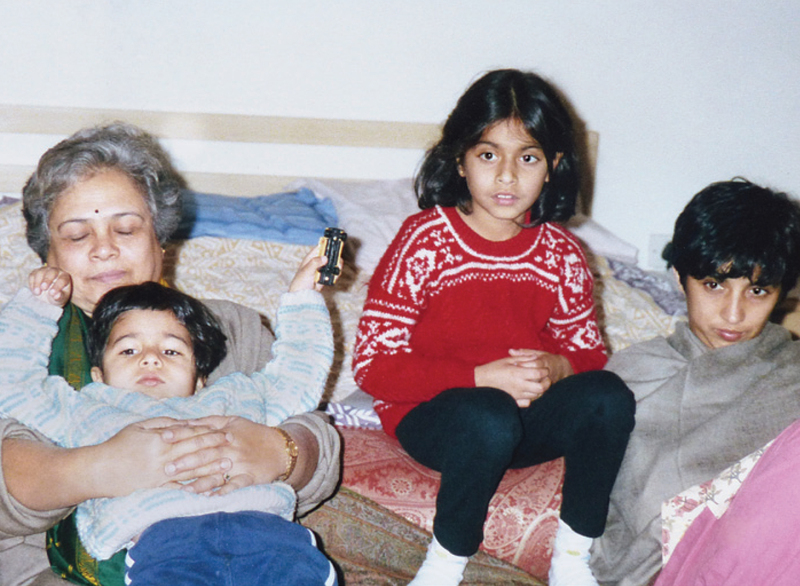 We were a close-knit family and still are even though my brother has migrated to the US with his family. And your father… what kind of relationship did you share with him? As was in vogue then, he was a distant figure whom we hero-worshipped. He was a quiet, pensive man with a brilliant mind, but given to bouts of depression that were scary while they lasted. He was extremely fair and inculcated in us a deep compassion for all those who, like him, had a hard time finding their feet being from a poor family. Tell us a little about your maternal grandmother, Ama, who was such a powerful influence on the family. Ama was a doughty fighter. Widowed in her 40s with nine children and no support, she worked to give them all a good education and sent them into the world with the same spirit that refused to bow to bullies and money power. That quality has come down to all of us through our mother. How early did you become aware of your own strengths and potential? I knew I was different but not in which way. I did very well academically despite being schooled in a government-run school in the Hindi medium. By the time I entered college, I was proficient in both English and Hindi, thanks to my mother. I was an introverted student but got noticed because of my performance academically and was inducted into a few good clubs at college that helped me overcome my shyness. I discovered I was a good debater and singer-dancer and formed wonderful friendships with some of the best minds in Allahabad University in the 1960s, who also opened my eyes to the political changes and their significance. All this helped me a great deal. I always fought off power as I was put off by the cheap machinations of many power-seekers but it has continued to be handed to me and I have tried to cope as best as I can. Your mother wrote her first short story when she was 12; you wrote yours when you were 21. Would you call it a curious coincidence? My mother’s first story was published in Shantiniketan magazine and not Dharmyug; the latter did not exist when she was 12. I do not believe in creative writing being full of coincidences and sudden miraculous insights. It is as hard and demanding as building a brick-and-mortar structure. In an article, your sister Ira writes that you would “insert the punctuation marks in Didda’s [your mother’s] hastily scribbled novels” at the age of 14, calling it your first lesson in editing. How did that come about? 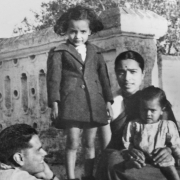 Mother felt as my Hindi was good, I could be entrusted with copy-editing her writings and I accepted the job without wondering about my being a mere 14 year-old. What determined your choice to study subjects as varied as English and Sanskrit literature, ancient Indian history, archaeology and classical music? Is there a new subject that has caught your attention in recent years? I got interested in ancient Indian history because I read the texts that were around. You see my elder sister had opted for (and hated) this subject in college. My mother felt I must study Sanskrit to understand ancient references better, and my father felt that as a bridge language English must also be part of the bouquet. I agreed. My love for music, I have already explained. I learnt it formally after I married and continued learning it for three decades till my guruji passed away. 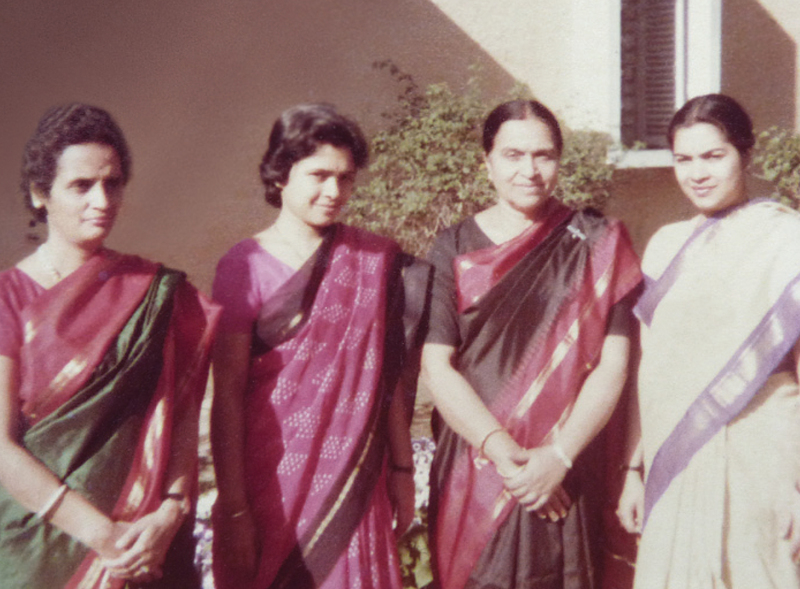 I had vowed I would never sing in public but have written on the growth of classical music in post-1857 India and the contribution of women singers to it. The book will be out next month. I entered it as a special correspondent for culture, a category Hindi journalism lacked. Circumstance pushed me into the mainstream and after working as an editor with The Times of India Group, I accepted a lateral entry into The Hindustan Times Group as editor of their Hindi magazines and later the daily. How did your stint in television come about? Television happened after the weekly magazine I was editing closed down owing to lack of ad support. I decided to give the newly privatised TV a shot and liked it. Later, personal misgivings about bureaucratic and linguistic discriminations made me rethink, and I returned to print. To her great credit Ms [Shobhana] Bharatiya, owner and editorial director of The Hindustan Times, unhesitatingly offered me the prime slot as chief editor of her Hindi daily. The paper took off and is today the No. 2 daily in India. As chairman of Prasar Bharati, what was your vision for the national network? I visualised a truly secular and autonomous entity that would function like the BBC. It would be the voice of the government but not subservient to transitory political thinking and free of bureaucratic interference from the ministry. What are your impressions of the television news broadcasting you see these days? I think people want more professional and serious work. Even the poorest are now better off and there are more TV sets in rural areas than our cities. Also, many villagers who can afford cable and dish do not wish to watch substandard, poor quality programmes beamed through the terrestrial network. What entails good editing skills? Brains. An ability to handle not just news but views and, above all, language. HR skills and personal integrity are important too because as editor, you must work with an army of intelligent but edgy and ambitious people who may have initial misgivings about having a female boss. In your view, is media in India performing its role as the fourth estate? Are we suffering from yellow journalism? Yellow journalism will always be there. I think, by and large, the mainstream media is fine on professional parameters, though the ownership patterns exercise political and economic pressures. Sometimes, that is not healthy. How did you feel when you received the Padma Shri for your contribution to the field of journalism? I was frankly surprised. The news came to me through my bureau chief when he received the official list from the PIB [Press Information Bureau]. What made you want to write fiction and how did your mother react to your first work? My mother was startled and thrilled. I did not plan my career as a writer; it happened over decades as I kept writing, not just fiction but reportage and political analysis, and researched health and women’s issues. From being the daughter of a famed writer to establishing your own credentials as an author, how do you view the journey? It has been an interesting journey whose ultimate worth is for others to evaluate. Despite the expanding English readership, you prefer to write in Hindi. Why? It is my first language, one I am most comfortable in. What is your advice to young Hindi writers and enthusiasts of Hindi literature? With such a busy schedule, how do you make time to sit down and write? Do you maintain a routine when it comes to writing? I learnt from my mother that if you want to write, time becomes available. For a working mother and wife, routine is too big a luxury. From short stories and novels to poems, memoirs, essays and political commentary, what enables you to handle such a wide range of genres? You just pick the genre that best suits your thoughts on the subject. What are your thoughts on translation emerging as an independent and popular form of writing? Do awards and recognition put pressure on a writer’s creative abilities? I don’t think so, unless they are mediocre enough to get a swollen head. Please tell us about your immediate family. My husband Arvind Pande is an economics graduate from Cambridge. 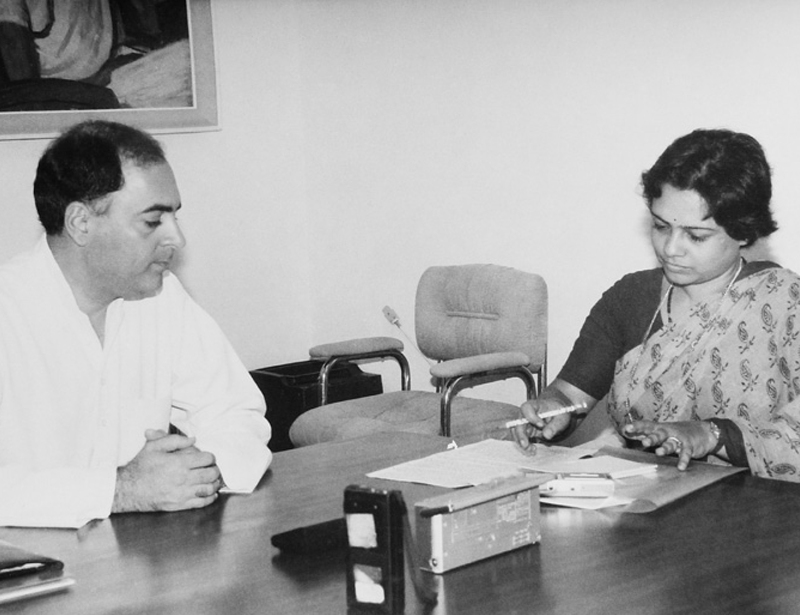 He joined the IAS in 1965. In 1986, he joined the public-sector steel company, SAIL, and retired as chairman in 2002. We have two daughters; one is an oncologist and the other a professor of public policy at Harvard. The older one is married and has a girl and boy. My son-in-law is an economist and teaches at the business school at Yale. What are your leisurely indulgences? Sleep, read, think, listen to music. What is your take on ageing and what impact has it had on your writing? God has been kind to me. I try to eat simply, sleep well, walk regularly and do yoga to keep my body supple. My writing has matured. It has less anger, more compassion and thoughtfulness, I think. I get up early. Feed the birds, change water in the bowl, let the dog out, wash balconies. By then, my husband is up so we have tea and read the papers. Have breakfast with my husband after our yoga class. Sit at the computer checking mail and write if I need to. Occasionally go for usual shopping for fresh ingredients. Post lunch, rest a bit and read. 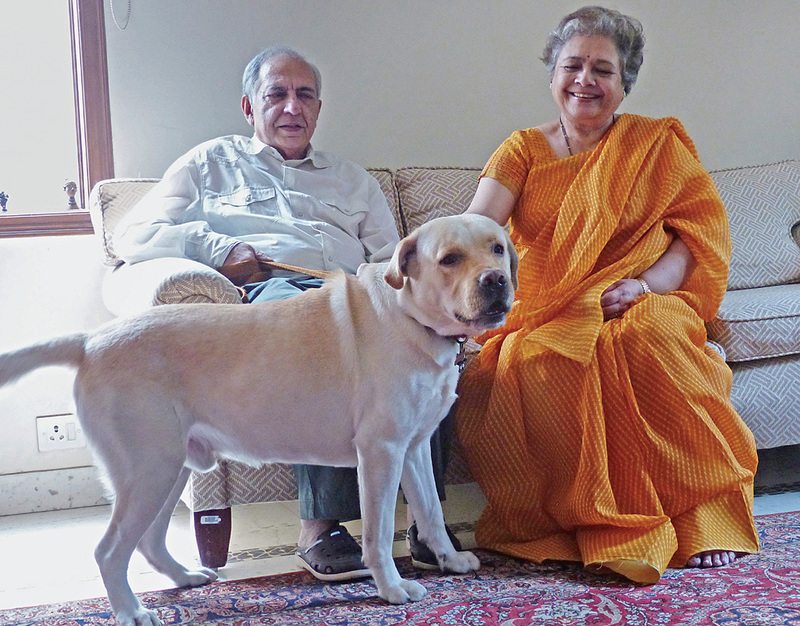 In the evenings, drive to Lodi Gardens to walk our dog Mojo, whom only my husband can manage outdoors as he is a big fellow and prone to excitement at the sight of open space. Occasionally, if there is a good music recital or lecture, attend that. Eat early. Retire by 11 pm.